Well you are not serious are you? No we won’t show you how to sell your supposedly famous Blogspot blog, but we will show you how to transfer it to another account after you have sold it, which is equally or infact more important! Blogspot is an ideal place for any new blogger and is super easy to use. It also is free. We will show you how to link your old Blogspot blog from one google account to another. Log into your Blogspot account and go to the Settings option. Next, under Settings, go to the Permissions Tab. You will find the option to Add Authors. 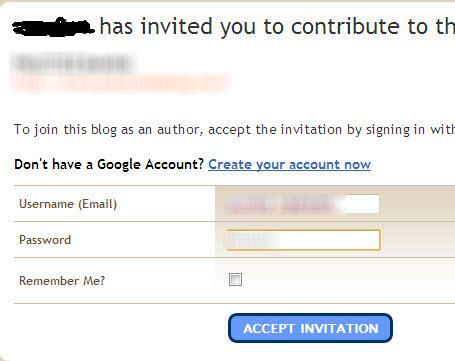 Log in to that second email account and accept the invitation to join the blog. Then login to Blogspot using this account info and accept the invitation. You can do this from a different browser to avoid multiple logins from this step onward. Return to the permissions page and hit refresh. You will see both the accounts. Add admin privileges to the newly added account. The final step is to remove the original account from the blog which will let the blog be now controlled by the newly added account. Hereafter, you will be able to login to your Blogspot blog using only your new account. Also a note of caution, deleting the old Blogspot account would automatically delete all images uploaded from that account. If you want to retain the images, leave that account active. Would you like to be Flickr’d?